Everyday politics and we the people are stuck between the politico party lines. Hear our voice! This great video sums up the thoughts of so many voters that were shocked that Donald Trump won. Things have somehow progressed well beyond basic policy ideas. They have transcended into basic human rights and decency. This quick video does a great job of summing up our thoughts. Head out to vote in the primary or caucus for Bernie Sanders Super Tuesday. It is vitally important! Our power lies in our participation in the political process. One of the places where our vote still holds a huge amount of sway is in primaries and caucuses. It is arguably the place where the individual voter’s vote still has real, tangible power. Use it! In some years the differences in candidates for president for each party is minimal. This year is not the case. In fact, the democratic candidates are remarkably different. This difference is will mean whether we have a chance to fix and correct our political system or if we remain in the embarrassing and dysfunction quagmire that is our corrupt political process and government functionality. Here is the evidence that shows their differences and why voters need to mobilize and caucus for Bernie Sanders Super Tuesday. As demonstrated in by the data above Senator Bernie Sanders has a much more progressive agenda with hopes and plans to continue to improve America. Bernie Sanders is pushing for further steps to tackle every major issue. Much of what Hillary Clinton proposes is to stick with much of what we already have, such as healthcare and energy policies. When looking at each candidate’s stance on issues both in the past and present, their outlined plans for American policy, and the drive they have to make a difference in the coming years the choice is clear. Bernie Sanders is the best choice to advance American policy in meaningful ways demonstrated by his decade’s long history of fighting against the corporate takeover of America. Bernie Sanders clearly has the majority of American’s people’s best interest in mind demonstrated by his empathy and vigor through demonstrating for civil rights. Bernie Sanders is the best choice to bridge the gap between people in America demonstrated by his ability to compromise and find middle ground on long lists of passed legislation. Please take a little time out of your day today and head out to your local Primary or caucus and vote. It is a rich and rewarding experience. Your vote holds significant weight in the outcome of who will end up being the Democratic nominee for president. Ask those around you if they would like to join you. Make a night out of! It will be fun and it is so very important to be involved in our democratic process. If we don’t use our democracy, we just might lose our democracy. So get out there today and caucus for Bernie Sanders Super Tuesday! The 2014 State of the Union Address was a good one where President Obama pointed out the many hard fought improvements during the previous year of his administration. Many of which fell short of the original promise, but there was progress to be had. Progress was made in spite of efforts of the GOP, which has stuck to their hard line mantra of opposing President Obama and democrats no matter what the particular issue of the day is. President Obama’s displeasure with the lack of cooperation and compromise rose up a few times during the State of the Union address. To this President Obama boldly said that he will no longer wait for the cooperation and compromise from the GOP if there were not obvious signs they would support an initiative. It has become painfully obvious to everyone that the core of Republicans still have no intention of changing. In a response to the GOP’s obstructionism President Obama said he will now take executive actions when and where he is able. I have mixed feelings about this. On one hand I think it would be great to get our lagging nation the much needed boost it needs. Real action to rekindle the hopes of prosperity in this country through wage increases, pay equality, increasing jobs, paths to citizenship, and the overall fair and equal treatment of all Americans. Since the GOP has one goal, to obstruct the Obama Administration whenever possible, Executive Actions will be nice to see better progress and fair treatment of people in America. On the other hand it both horrifies and sickens me that our government is so broken that it has to come to Executive Actions to accomplish some of the most basic and simple functions of our government. President George W Bush really brought Executive Actions to the fore front. Now President Obama feels he has to use these to accomplish the things that this country needs. However, I don’t think two wrongs make a right. But I do understand that the GOP has left the President little choice. Unfortunately there is little sign that the degradation of our government is slowing. So until many more Americans get involved and invested in our government there is little hope of it changing for the better to actually serve the American people. A great place to start learning and investing in the US Government that will dictate the quality of our lives is the State of the Union Address. It is a summary of the last year and an action plan for the year ahead. It is similar to a compass you need to use to navigate the wilderness. Use the State of the Union Address to help you get a direction of what and where our government hopes to go in the coming year. Then follow the direction in which it goes. Then participate, stay informed through multiple sources, discuss with others, and most importantly vote at the end of the year to help our government continue moving down the path of making America better. Here’s to another year of trying to make America and all of it’s people better! Thank you. (Applause.) Thank you so much. Thank you. Thank you. (Applause.) Thank you so much. Mr. Speaker, Mr. Vice President, members of Congress, my fellow Americans, today in America, a teacher spent extra time with a student who needed it and did her part to lift America’s graduation rate to its highest levels in more than three decades. An autoworker fine-tuned some of the best, most fuel-efficient cars in the world and did his part to help America wean itself off foreign oil. A farmer prepared for the spring after the strongest five-year stretch of farm exports in our history. (Cheers, applause.) That’s why I believe this can be a breakthrough year for America. After five years of grit and determined effort, the United States is better-positioned for the 21st century than any other nation on Earth. Now, as president, I’m committed to making Washington work better, and rebuilding the trust of the people who sent us here. And I believe most of you are, too. Last month, thanks to the work of Democrats and Republicans,Congress finally produced a budget that undoes some of last year’s severe cuts to priorities like education. Nobody got everything they wanted, and we can still do more to invest in this country’s future while bringing down our deficit in a balanced way. But the budget compromise should leave us freer to focus on creating new jobs, not creating new crises. Now, let’s face it: That belief has suffered some serious blows. Over more than three decades, even before the Great Recession hit, massive shifts in technology and global competition had eliminated a lot of good, middle-class jobs, and weakened the economic foundations that families depend on. So our job is to reverse these trends. It won’t happen right away, and we won’t agree on everything. Taking a page from that playbook, the White House just organized a College Opportunity Summit, where already 150 universities, businesses, nonprofits have made concrete commitments to reduce inequality in access to higher education and to help every hardworking kid go to college and succeed when they get to campus. And across the country — (applause) — we’re partnering with mayors, governors and state legislatures on issues from homelessness to marriage equality. Now — (sustained cheers and applause) — opportunity is who we are. And the defining project of our generation must be to restore that promise. Moreover, we can take the money we save from this transition to tax reform to create jobs rebuilding our roads, upgrading our ports, unclogging our commutes — because in today’s global economy, first- class jobs gravitate to first-class infrastructure. We’ll need Congress to protect more than 3 million jobs by finishing transportation and waterways bills this summer. (Cheers, applause.) That can happen. And even as we’ve increased energy production, we’ve partnered with businesses, builders and local communities to reduce the energy we consume. When we rescued our automakers, for example, we worked with them to set higher fuel efficiency standards for our cars. In the coming months I’ll build on that success by setting new standards for our trucks so we can keep driving down oil imports and what we pay at the pump. But we have to act with more urgency because a changing climate is already harming western communities struggling with drought and coastal cities dealing with floods. That’s why I directed my administration to work with states, utilities and others to set new standards on the amount of carbon pollution our power plants are allowed to dump into the air. The shift — (applause) — the shift to a cleaner energy economy won’t happen overnight, and it will require some tough choices along the way. The ideas I’ve outlined so far can speed up growth and create more jobs. But in this rapidly-changing economy, we have to make sure that every American has the skills to fill those jobs. The good news is, we know how to do it. Two years ago, as the auto industry came roaring back, Andra Rush opened up a manufacturing firm in Detroit. She knew that Ford needed parts for the best-selling truck in America, and she knew how to make those parts. She just needed the workforce. So she dialed up what we call an American Job Center; places where folks can walk in to get the help or training they need to find a new job, or a better job. She was flooded with new workers, and today, Detroit Manufacturing Systems has more than 700 employees. And what Andra and her employees experienced is how it should be for every employer and every job seeker. Misty DeMars is a mother of two young boys. She’d been steadily employed since she was a teenager, put herself through college. She’d never collected unemployment benefits, but she’s been paying taxes. Congress, give these hardworking, responsible Americans that chance. (Cheers, applause.) Give them that chance. Give them the chance. They need our help right now, but more important, this country needs them in the game. That’s why I’ve been asking CEOs to give more long-term unemployed workers a fair shot at new jobs, a new chance to support their families. And in fact, this week many will come to the White House to make that commitment real. Now, some of this change is hard. The problem is we’re still not reaching enough kids, and we’re not reaching them in time, and that has to change. But in the meantime, 30 states have raised pre-k funding on their own. They know we can’t wait. So just as we worked with states to reform our schools, this year we’ll invest in new partnerships with states and communities across the country in a race to the top for our youngest children. And as Congress decides what it’s going to do, I’m going to pull together a coalition of elected officials, business leaders, and philanthropists willing to help more kids access the high-quality pre-K that they need. (Applause.) It is right for America. We need to get this done. And I’m reaching out to some of America’s leading foundations and corporations on a new initiative to help more young men of color facing especially tough odds stay on track and reach their full potential. The bottom line is, Michelle and I want every child to have the same chance this country gave us. But we know our opportunity agenda won’t be complete, and too many young people entering the workforce today will see the American Dream as an empty promise, unless we also do more to make sure our economy honors the dignity of work, and hard work pays off for every single American. There are other steps we can take to help families make ends meet, and few are more effective at reducing inequality and helping families pull themselves up through hard work than the Earned Income Tax Credit. Right now, it helps about half of all parents at some point. Think about that. It helps about half of all parents in America at some point in their lives. But I agree with Republicans like Senator Rubio that it doesn’t do enough for single workers who don’t have kids. So let’s work together to strengthen the credit, reward work, help more Americans get ahead. And if you want to know the real impact this law is having, just talk to Governor Steve Beshear of Kentucky, who’s here tonight. Now, Kentucky’s not the most liberal part of the country. That’s not where I got my highest vote totals. (Laughter.) But he’s like a man possessed when it comes to covering his commonwealth’s families. They’re our neighbors and our friends, he said. They’re people we shop and go to church with — farmers out on the tractor, grocery clerks. They’re people who go to work every morning praying they don’t get sick. No one deserves to live that way. After all, that — that’s the spirit that has always moved this nation forward. It’s the spirit of citizenship, the recognition that through hard work and responsibility, we can pursue our individual dreams, but still come together as one American family to make sure the next generation can pursue its dreams as well. Citizenship demands a sense of common purpose; participation in the hard work of self-government; an obligation to serve to our communities. And I know this chamber agrees that few Americans give more to their country than our diplomats and the men and women of the United States armed forces. (Extended applause.) Thank you. We have to remain vigilant. But I strongly believe our leadership and our security cannot depend on our outstanding military alone. As commander in chief, I have used force when needed to protect the American people, and I will never hesitate to do so as long as I hold this office. But I will not send our troops into harm’s way unless it is truly necessary, nor will I allow our sons and daughters to be mired in open-ended conflicts. We must fight the battles — (applause) — that need to be fought, not those that terrorists prefer from us — large-scale deployments that drain our strength and may ultimately feed extremism. So even as we actively and aggressively pursue terrorist networks, through more targeted efforts and by building the capacity of our foreign partners, America must move off a permanent war footing. (Applause.) That’s why I’ve imposed prudent limits on the use of drones, for we will not be safer if people abroad believe we strike within their countries without regard for the consequence. That’s why, working with this Congress, I will reform our surveillance programs because the vital work of our intelligence community depends on public confidence, here and abroad, that privacy of ordinary people is not being violated. (Applause.) And with the Afghan war ending, this needs to be the year Congress lifts the remaining restrictions on detainee transfers and we close the prison at Guantanamo Bay — (applause) — because we counter terrorism not just through intelligence and military action but by remaining true to our constitutional ideals and setting an example for the rest of the world. (Applause.) If Iran’s leaders do not seize this opportunity, then I will be the first to call for more sanctions and stand ready to exercise all options to make sure Iran does not build a nuclear weapon. But if Iran’s leaders do seize the chance — and we’ll know soon enough — then Iran could take an important step to rejoin the community of nations, and we will have resolved one of the leading security challenges of our time without the risks of war. And finally, let’s remember that our leadership is defined not just by our defense against threats but by the enormous opportunities to do good and promote understanding around the globe, to forge greater cooperation, to expand new markets, to free people from fear and want. And no one is better positioned to take advantage of those opportunities than America. Our alliance with Europe remains the strongest the world has ever known. From Tunisia to Burma, we’re supporting those who are willing to do the hard work of building democracy. In Ukraine, we stand for the principle that all people have the right to express themselves freely and peacefully and to have a say in their country’s future. Across Africa, we’re bringing together businesses and governments to double access to electricity and help end extreme poverty. In the Americas, we’re building new ties of commerce, but we’re also expanding cultural and educational exchanges among young people. My fellow Americans, no other country in the world does what we do. On every issue, the world turns to us, not simply because of the size of our economy or our military might but because of the ideals we stand for and the burdens we bear to advance them. No one knows this better than those who serve in uniform. As this time of war draws to a close, a new generation of heroes returns to civilian life. We’ll keep slashing that backlog so our veterans receive the benefits they’ve earned and our wounded warriors receive the health care — including the mental health care — that they need. (Applause.) We’ll keep working to help all our veterans translate their skills and leadership into jobs here at home, and we will all continue to join forces to honor and support our remarkable military families. Let me tell you about one of those families I’ve come to know. My fellow Americans — my fellow Americans, men and women like Cory remind us that America has never come easy. Our freedom, our democracy, has never been easy. Sometimes we stumble; we make mistakes; we get frustrated or discouraged. The America we want for our kids — a rising America where honest work is plentiful and communities are strong; where prosperity is widely shared and opportunity for all lets us go as far as our dreams and toil will take us — none of it is easy. But if we work together; if we summon what is best in us, the way Cory summoned what is best in him, with our feet planted firmly in today but our eyes cast towards tomorrow, I know it’s within our reach. Here is Marco Rubio’s State of the Union YouTube Video Response to President Barack Obama’s 2013 State of the Union Address. If you missed the State of the Union Address first watch this enhanced YouTube video that adds some more information along with the President Barack Obama’s speech. This is not one of the strongest responses the GOP has delivered to the State of the Union Addresses. Marco Rubio doesn’t deliver a terribly well prepared response as he contradicts himself on several important points. Knowing what the talking points are going to be it should be expected to have a better and more organized response. Sticking to the regular stump speech points is a little lazy for a response to the State of the Union. 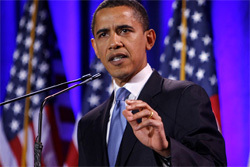 President Obama delivers the 2013 State of the Union Address to Congress and the nation in this enhanced YouTube video. Here President Barack Obama lets the American people know the state of America. President Barack Obama then proceeds to go through his goals and aspirations for his second term in this enhanced YouTube video. 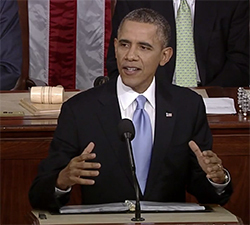 In this enhanced YouTube video on the 2013 State of the Union Address has many overlays and other information added throughout President Obama’s State of the Union Address. So if you have not yet the State of the Union yet or are watching again to get a deeper understanding of the goals ahead this is the version to watch. In this week’s address, President Obama calls for quick action on the proposals he made during the State of the Union to grow our economy and create jobs, including making America a magnet for manufacturing, strengthening our education system through high-quality preschool for every child, and raising the minimum wage. It’s nice to see a focus on education in America as it has been lagging behind rest of the world for some time now. Though it is hard to see how we can move forward with these goals with the GOP’s continued unmoving stance that we must cut spending on everything, instead of increasing it. Even when it has been proven time again that the spending that goes into much of these things, such as education, is actually a huge investment in America’s future. Some of these investments return more that what is invested through overall long term GDP growth. Anyway, check out President Barack Obama’s weekly video address as he lays out his goals to boost American public education. Vote in the 2012 General Election Today! Invisible Mitt Romney at the Democratic National Convention? Election Day 2012 is tomorrow, are you ready to vote? Make sure you know who and what you are voting for. It is very important that everyone that is registered to vote get out and get their vote in tomorrow. We live in a great country and it can only become greater if we all do our civic duty and vote in our countries elections. Elections are the very core of America and the democracy we all hold so dear. It is the responsibility of every American to vote in every election. Only then can we truly be the masters of our own fate. Make a plan. Schedule a time to hit the polls and grab your friends and family that still need to vote. It is a lot of fun and there is a certain sense of pride and accomplishment that can be felt when we do vote. Most people in America have already decided who and how they are going to vote. However if you are still undecided here are some of the big issues that are on everyone’s mind this election year. If you are a college student, vote Barack Obama for President and vote for your Democratic candidates. If you are a firefighter, police officer, teacher, or any other government worker, vote Barack Obama for President and vote for your Democratic candidates. If you think that the health care industry should profit off us being healthy instead of being sick, , vote Barack Obama for President and vote for your Democratic candidates. If you are a woman, vote Barack Obama for President and vote for your Democratic candidates. If you are on unemployment, vote Barack Obama for President and vote for your Democratic candidates. If you are one of the 47%, vote Barack Obama for President and vote for your Democratic candidates. If you are one of the 99%, vote Barack Obama for President and vote for your Democratic candidates. If you depend on Medicaid, vote Barack Obama for President and vote for your Democratic candidates. If you depend on Medicare, vote Barack Obama for President and vote for your Democratic candidates. If you depend on Social Security, vote Barack Obama for President and vote for your Democratic candidates. If you don’t have a job now, vote Barack Obama for President and vote for your Democratic candidates. If you depend on PERA, vote Barack Obama for President and vote for your Democratic candidates. If you depend on a retirement fund, vote Barack Obama for President and vote for your Democratic candidates. If you don’t want to see another financial crash, , vote Barack Obama for President and vote for your Democratic candidates. If you know that a person’s health is vital to our pursuit of happiness, vote Barack Obama for President and vote for your Democratic candidates. If you know that cooperation and bipartisanship is the only way to move forward, vote Barack Obama for President and vote for your Democratic candidates. If you know that every human, without exception, has inalienable rights to freedom and happiness, vote Barack Obama for President and vote for your Democratic candidates. If you know we solve problems through kindness and cooperation, vote Barack Obama for President and vote for your Democratic candidates. If you know woman deserve equal pay for equal work, vote Barack Obama for President and vote for your Democratic candidates. If you lost your job in the great Republican Market Crash, vote Barack Obama for President and vote for your Democratic candidates. If you live on the coast, vote Barack Obama for President and vote for your Democratic candidates. If you do not enjoy disastrous weather, vote Barack Obama for President and vote for your Democratic candidates. If you realize a balanced approach to fiscal responsibility is the only feasible way to dig this country out of the financial hole we are in, vote Barack Obama for President and vote for your Democratic candidates. If you remember the downward spiral of our country prior to 2008 and want to keep us on the path the repairing that damage, vote Barack Obama for President and vote for your Democratic candidates. If you report less than 1,000,000 dollars on your business taxes, vote Barack Obama for President and vote for your Democratic candidates. If you report less than 250,000 dollars on your income taxes, , vote Barack Obama for President and vote for your Democratic candidates. If you show up at the polls this year and you can’t vote, , vote for Democratic candidates next election. If you think it is wrong to buy elections, vote Barack Obama for President and vote for your Democratic candidates. If you think it was about time that someone brought Osama Bin Laden to justice, vote Barack Obama for President and vote for your Democratic candidates. If you think our environment is worth protecting, vote Barack Obama for President and vote for your Democratic candidates. If you think that every America equally share the burden of balancing our national budget, vote Barack Obama for President and vote for your Democratic candidates. If you think that everyone deserves to be healthy whether they are rich or poor, vote Barack Obama for President and vote for your Democratic candidates. If you think that people of all origins deserve a chance in America, vote Barack Obama for President and vote for your Democratic candidates. If you think that women’s health care is important, vote Barack Obama for President and vote for your Democratic candidates. If you want a better education for your children, vote Barack Obama for President and vote for your Democratic candidates. If you want a chance to afford education, vote Barack Obama for President and vote for your Democratic candidates. If you want a government that focuses on real problems, vote Barack Obama for President and vote for your Democratic candidates. If you want a President that can get things done even when an entire political party’s singular goal is to undermine him, vote Barack Obama for President and vote for your Democratic candidates. If you want a President that nurtures and grows foreign relations, vote Barack Obama for President and vote for your Democratic candidates. If you want a President that sticks to what he says, vote Barack Obama for President and vote for your Democratic candidates. If you want American businesses to pay taxes in a country that makes them successful, vote Barack Obama for President and vote for your Democratic candidates. If you want bridge the income gap, vote Barack Obama for President and vote for your Democratic candidates. If you want cheaper drug prices, vote Barack Obama for President and vote for your Democratic candidates. If you want healthcare to be better and cheaper, vote Barack Obama for President and vote for your Democratic candidates. If you want jobs to be created in America and the jobs that are here to stay in this country, vote Barack Obama for President and vote for your Democratic candidates. If you want our schools to continue to improve, vote Barack Obama for President and vote for your Democratic candidates. If you want to expand our energy independence and versatility, vote Barack Obama for President and vote for your Democratic candidates. If you want to have a real shot at the American Dream, vote Barack Obama for President and vote for your Democratic candidates. If you want to make a positive difference in America’s future, vote Barack Obama for President and vote for your Democratic candidates. If you want to move America back to being a world leader, vote Barack Obama for President and vote for your Democratic candidates. If you want to see the reckless behavior of Wall Street stop, vote Barack Obama for President and vote for your Democratic candidates. If you want us to push forward into the 21st century instead of falling back into the 20th century, vote Barack Obama for President and vote for your Democratic candidates. But if you want to take a step back in time, forgot about the costly illegitimate wars, the economic crash, don’t care women’s health, corruption, and cronyism that brought our country down so fast, vote for the other guys. The bottom line is that everyone needs to get out and vote. So make a plan, talk to your friends and get out there and participate in one of the most important things that you can do as an American. We are just under a month away and it is time to make sure that everyone, and I do mean everyone, in the United States of America is prepared, registered, and eager to vote in the upcoming presidential general election. I would love to see Americans set a new standard this year for voter turnout. I would love to see the American people finally step up and show the world through their political actions that we are the premiere democracy we all hope and wish to be. To this end I have whipped up this quick Top Ten Ways to Vote Responsibly in Politics checklist to make sure every eligible voter in America is registered and ready to make a responsible political vote come November 6th. With the voter fraud and ID laws that have been enacted in many states, many eligible voters have been purged from the system. Many of my friends and family who have been active in every election for years were removed, so don’t believe for a second you are immune to these voter purges. Make sure you are registered! Just Google “Register to vote [your state]” and pick the website that is a .gov. Some of the voter fraud laws have restrictions that only those with certain types of ID or proof of identity can vote, even if you are registered. So be sure to have the correct ID ready and available. You should be able to find out this information when you verify your voter registration at your state’s website. In most states you have the ability to either vote in person at a polling place or to vote by mail. The preference is yours but I would suggest figuring out exactly what you are going to do so you are prepared come election day. If your state has been part of the new voter fraud laws you may want to vote by mail this year as the polling places are going to be stuffed and chaotic with many voters that will not be able to vote due to these new restrictions and laws. It might get really ugly. So to avoid these you may want to vote by mail this year. Or at the very least have a mail in ballot ready should your polling place be packed on Election Day. It is important to find out ahead of time where your polling place is. Depending on the state you might have a very specific location where you have to vote or you might have the freedom to vote at any polling place in your district. Even if you plan to vote by mail it is important for you to learn where these ballots have to be turned in should you need to turn it in at the last moment. This is also important as it can save you a headache come November 6th. Many states now offer early voting. This has really helped to alleviate Election Day woes of long lines and confusion at the polling places. Most early voting starts around a week ahead of Election Day, but your area may be different. Make sure you know so you can take advantage of it. Employers are federally required to give their employees time to go vote. So don’t let your work schedule stop you from getting out there to vote! Make a point to go out and learn about all of the political candidates for president. Read through the top issues they are campaigning on figure out who best suits your ideals, values, and beliefs. Then please make a point to do some research on them. Don’t limit this research to just the websites, media outlets or talk shows that support your candidate. Also search for those that represent the other side as well as those that are try to be unbiased and neutral. You will never ever hear the truth from a single source so do yourself a favor, become broadly informed. These are the politicians that are going to represent your political will at the national level. These are very important as they will have your state issues in mind. They will also follow their party line to some degree. This can be very tricky as often times these two things conflict politically. When it comes to your representatives look to how and what they voted for. On occasion you will have a representative that doesn’t yet have a voting record so you have to take their word on faith. This can be difficult. Local political representatives are often harder to learn about due to many are often running for office for the first time. Generally this is where many politicians start. If they like being a politician and are liked by the people they often move up to the state level. However, these politicians are the ones you can easily go out and talk to. They will have town hall type meetings in the area. Will often respond directly to email or phone questions. This can make it more personal but also allows you to find out where they stand on issues directly. You might have to do a little digging depending on where you live to get good information on them but most local newspapers do a great job of going through the candidates that in your area. So pick up your local papers special politics additions to get the bead on which local politicians you want to support. You should be able to learn about the local issues that are coming up for a vote through your local newspaper and their website. You should also receive a voter booklet to help you learn about the issues. Often times these are the same issues you will hear about quite a bit leading up to the election. These are going to be votes to change the local budget, approve taxes for schools, constitutional amendments, and a myriad of other political issues. You may only have a couple to look into or several dozen depending on your location. Even though it may seem arduous, these local issues are going to be the ones that directly affect you so it is very important that you learn about these issues. Try to watch the news on these up until the time you vote as there can be some last minute changes and information that comes up on these local political issues. Whether you are voting at the polling places or you are voting with a mail in ballot make sure that you create a cheat sheet for yourself so you are sure you are voting how you want to. It is easy to get pressured, nervous, or forgetful when it is time to pull the lever and pick your circles. It’s important to make sure that you know exactly how you want to vote when the times comes. Most states have sample ballots that you can print off. This is the best route to take as it should be an exact copy of the ballot you will fill out. Mark your answers on it and any notes that you want to add. Then when the time comes, double check the official ballot you are filling out is the same and you can quickly mark down your answers. This assures that you vote how you want to vote and you speed up the process for everyone when the time comes. All of these tips and tricks should help you make an informed decision about what is best for you, your family and your area. The very best thing you can do, after becoming an educated and responsible voter, is to speak to those around you about how to follow these steps and become a better citizen of these United States of America. At times it is hard to see how our one vote in millions makes a difference. It does, and it can make a dramatic one at times. However, these effects are often hard to see immediately and can lessen our civic excitement and duty. However, by being a responsible, educated voter in America you are one of millions that is working to shape our future as a people and as a nation. Only through the power of the people will we be able to assert our will past the demagogues, the mountains of money, and those bent on keeping the people disenfranchised, and instead bring this country to a better place. By voting, you keep the reins in the hands of the people. By asserting yourself and helping others to become better voters you help the people to keep the power. And only by showing that we the people of the United States of America are engaged, educated and insistent can we hope to make a brighter future for our children and the generations to come. See you are the polls on elections day! I saw this article last weekend on NBC news. It has a some good, detailed information regarding the big drive to pass voter fraud bills. Again we find, as has been obvious in many other reports, that voter fraud at the polls is so minute and inconsequential that it should outrage all Americans that our politicians are wasting the valuable time they have to try to tackle an issue that doesn’t even exist. Not only did this article dive deep into the entire issue of voter fraud, it used the raw data collected by News21 and their new database to illustrate just how inconsequential in-person, at the polls, voter fraud is. The number of actual cases is somewhere near the 1000th’s of a percent range. That is .001%. All the voter fraud legislation will effect around 10% of the population, effectively stripping them of the right to vote in the coming general election unless they take extra action to assure that they are still registered and able to vote. Many of these voters are not even aware that these laws have taken effect, taking away their ability to vote in future elections. That does not sound very patriotic to me! I have actually been a victim of this legislation. I was surprised to learn that the legislation in my area had removed me from the eligible voter list. Even though I do not fit into any of the “main demographics” that are going to be affected by the voter suppression legislation. As frustrating as that is, it is easy to re-register. So your first order of business is to make sure that you register to vote again. It only takes a minute and it will save you frustration come election day. As Americans it is our duty to vote, every single one of us. Now, contact your representative and demand that they spend their time on actual real life issues that actually affect Americans before they start a six week debate about the best way to legislate free roaming unicorns and to determine if they are subject to restrictions in state boundaries. The Presidential Debates have been scheduled and their formats and topics have been chosen for the 2012 Presidential Election season. I always look forward to these Presidential Debates because we get to see what the candidates are going to say and they are put on the spot, and face to face, with all of the political rhetoric that they have been firing at each other for months. Not only do they have to answer the questions that are presented by the debate moderator they often slip these other counter points into their responses. More often than not it seems to draw the presidential candidates into a more real and genuine response instead of those that are tailored by their publicist. The Republicans have Mitt Romney as their candidate this year and I really do not feel that he is going to be up to the challenge of truly and honestly competing with President Obama at the podium. These Presidential Debates should be very interesting and unless Mitt Romney begins to truly solidify his platform beyond the catch phrases he is going to be in a world of trouble come these Presidential Debates. I have discussed these Presidential Debates with many others and they seem to feel that though President Obama will likely dominate the Presidential Debates they are not going to be nearly as interesting as they might have been with Rick Perry or Herman Cain. Both of which have incredibly interesting personalities which may have been far more entertaining. What are your thoughts on these debates? Regardless of who you are supporting in the upcoming elections it is important to watch these as they should help you forge your opinions come the general election. Mitt Romney is going to have to get studying and practicing for these debates because he is going up against a skilled and seasoned challenger who many agree is a master of debating. The Commission on Presidential Debates has announced the formats for the 2012 presidential and vice presidential debates, each of which will be 90-minutes long. Moderators will be selected in August. First presidential debate: October 3, University of Denver, Colorado: Domestic issues, questions selected by moderator. Vice presidential debate: October 11, Centre College, Danville, Kentucky: Domestic and foreign issues, questions selected by moderator. Second presidential debate: October 16, Hofstra University, Hampstead, N.Y.: Town-hall meeting format with questions from undecided voters. Third presidential debate: October 22, Lynn University, Boca Raton, Florida: Foreign issues, questions selected by moderator. Make sure to tune and and watch these important debates Presidential Debates. We often get some real insight into what and who these presidential candidates are and what their platforms and plans are for the United States of America for the next four years. Even more importantly, we often see who is not going to be up to the challenge of being the President of the United States.